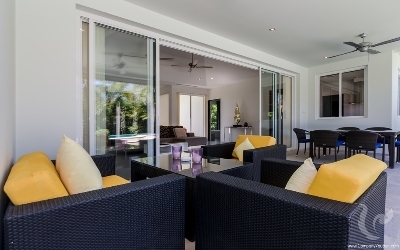 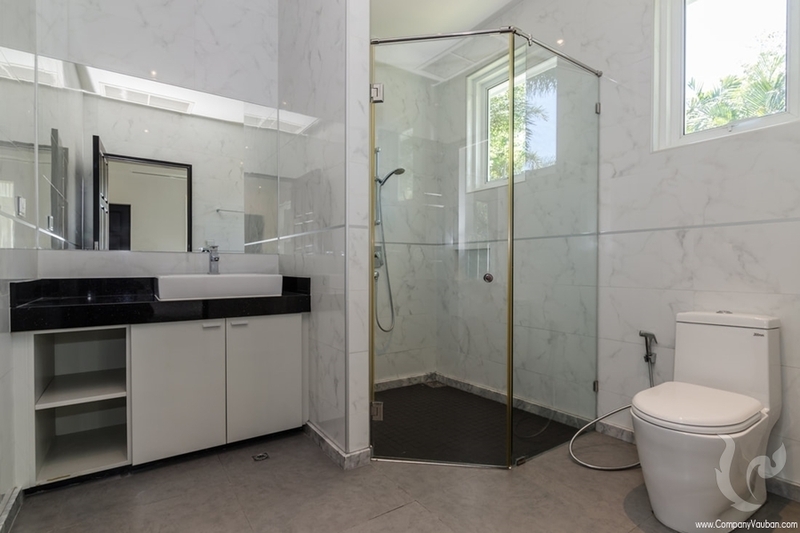 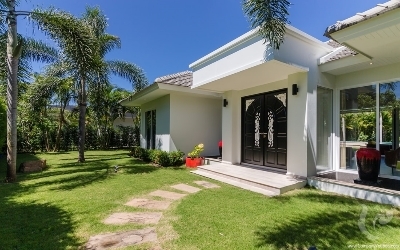 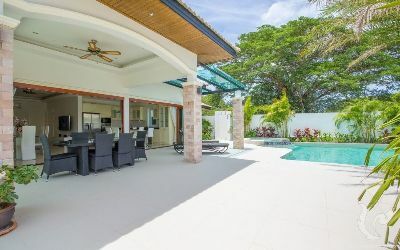 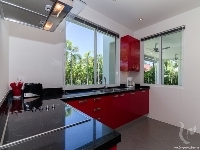 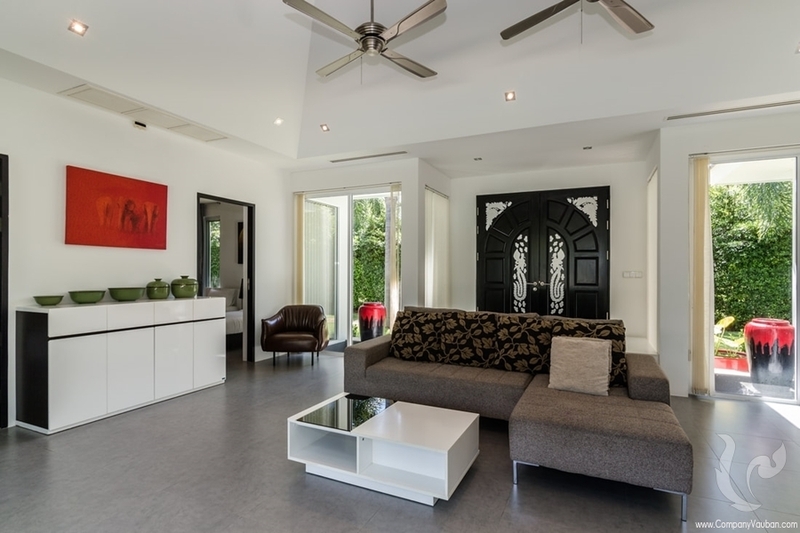 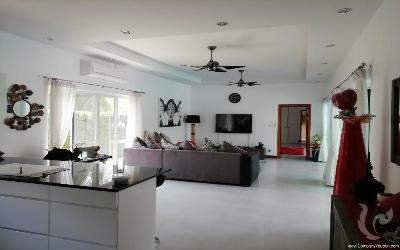 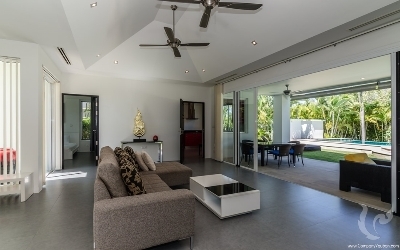 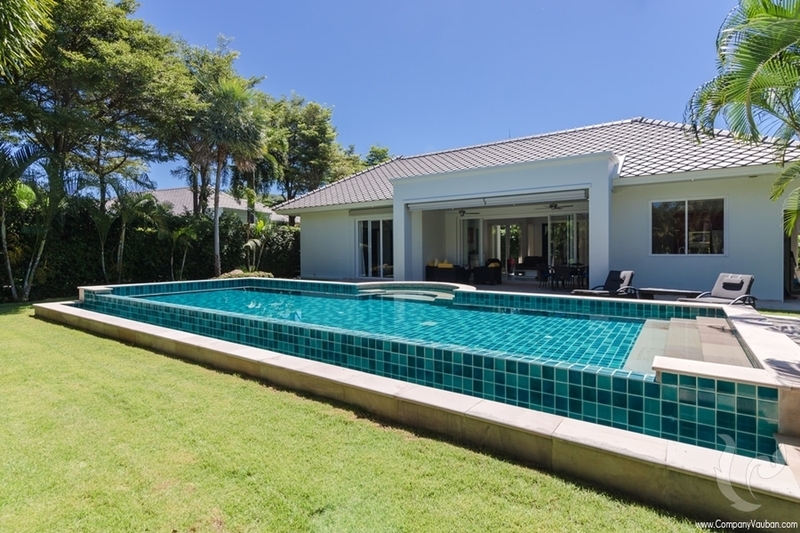 This modern villa is quietly situated in the lush Park area, very well maintained and in new-condition and perfectly catered to entertain family and friends at the outdoor living / dining area. 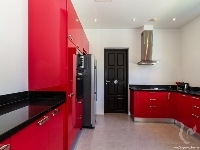 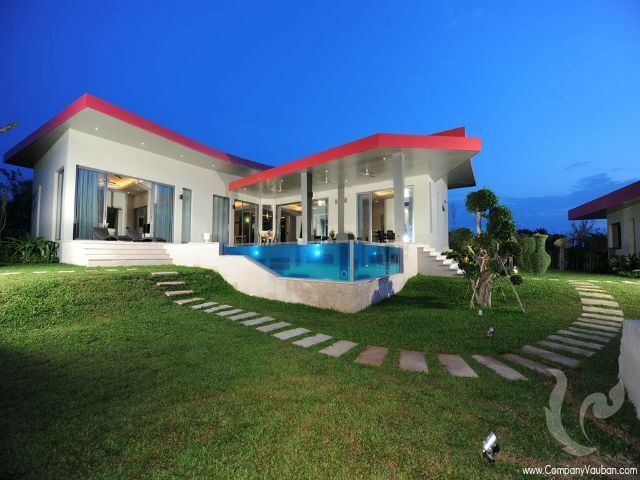 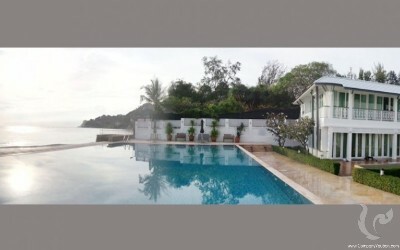 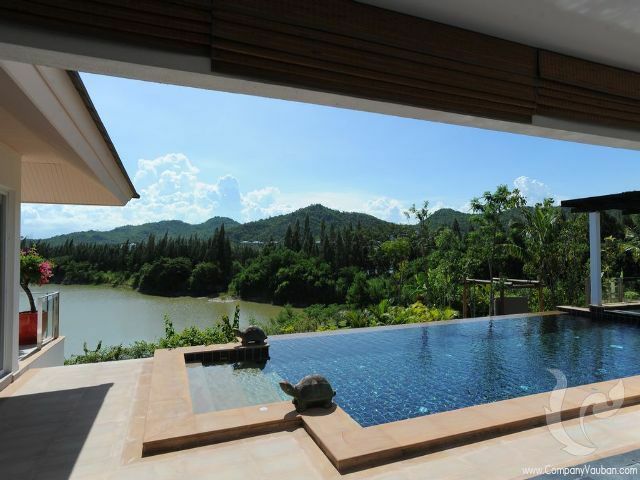 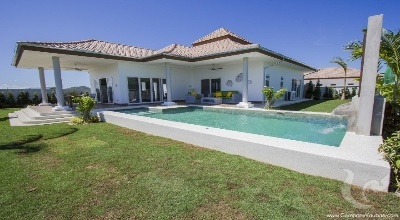 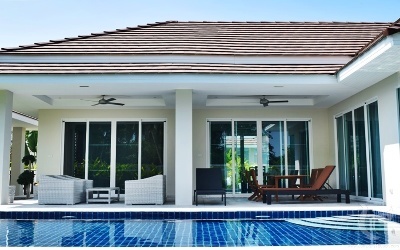 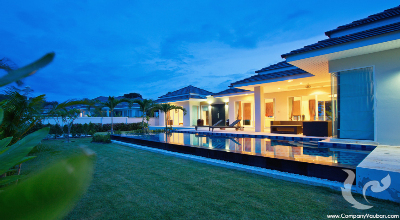 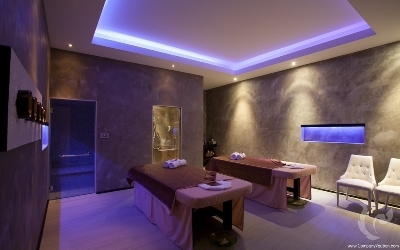 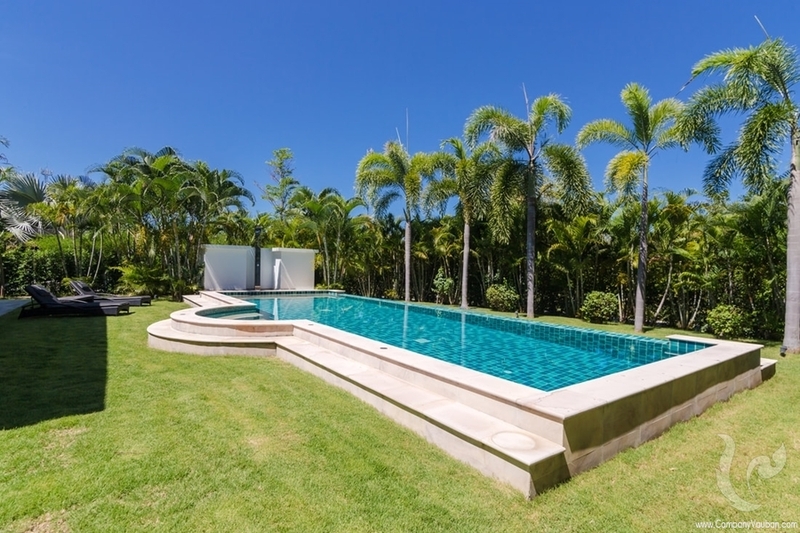 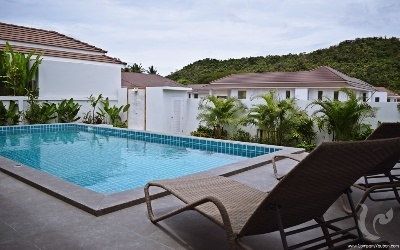 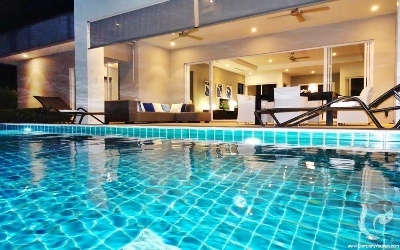 The Villa features 3 bedrooms and en-suite bathrooms, and a large infinity pool with Jacuzzi. 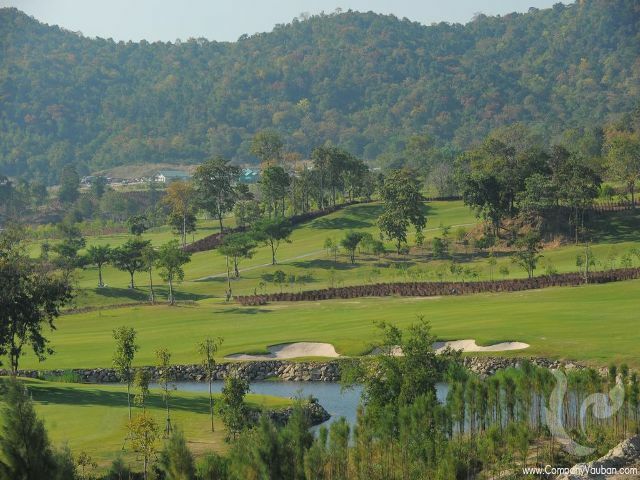 Only 20 minutes away from Hua Hin town and the beach and only 5 minutes away from one of Asia's voted best golf courses, The Black Mountain Golf Course. 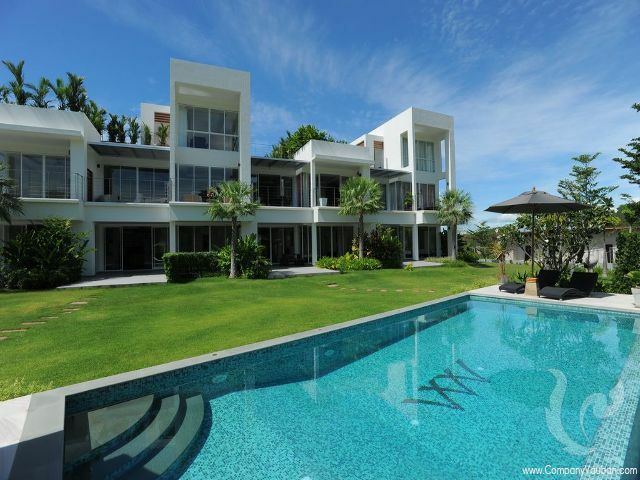 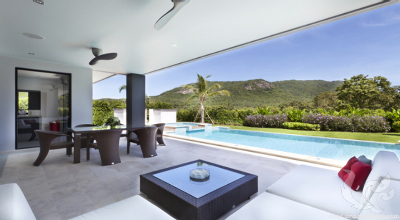 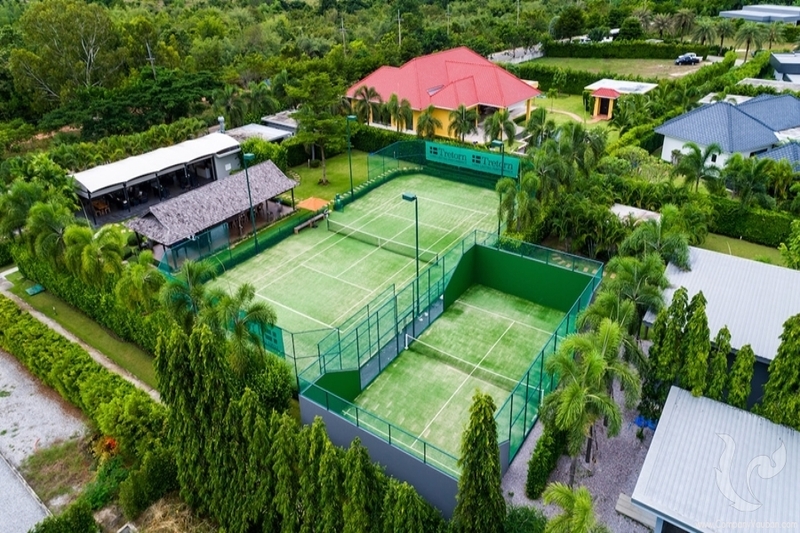 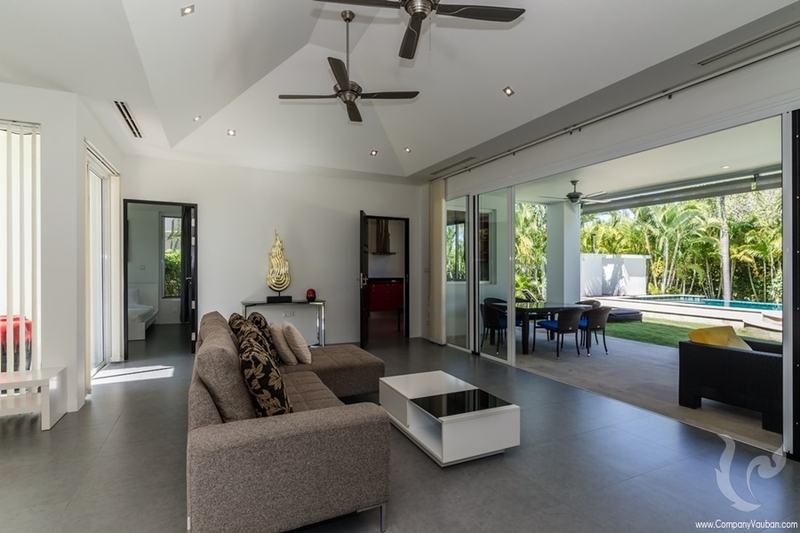 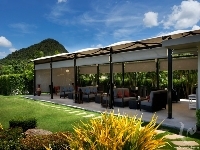 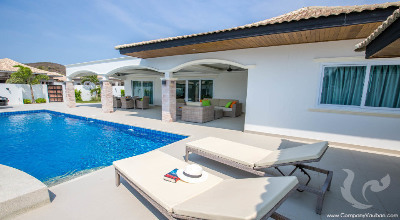 An awarded pool villa development on the golf Award-winning pool-villas and low-rise condominiums in an idyllic hillside location by Hua Hin's famous Black Mountain Golf Course. Lush fairways, forest-covered mountains and a Buddhist monastery's meditation grounds provide the spectacular backdrop to Baan Ing Phu - a low-density luxury development picked by Thailand Property Awards 2009 as offering the best condominiums in Hua Hin, Thailand's most exclusive resort town. Baan Ing Phu was awarded as well in 2010 and 2011 as the Best villas development in Hua Hin and top 3 most exclusive houses development in Thailand Baan Ing Phu's spacious condos and pool-villas also stand out through a commitment to excellence in construction, design and services. 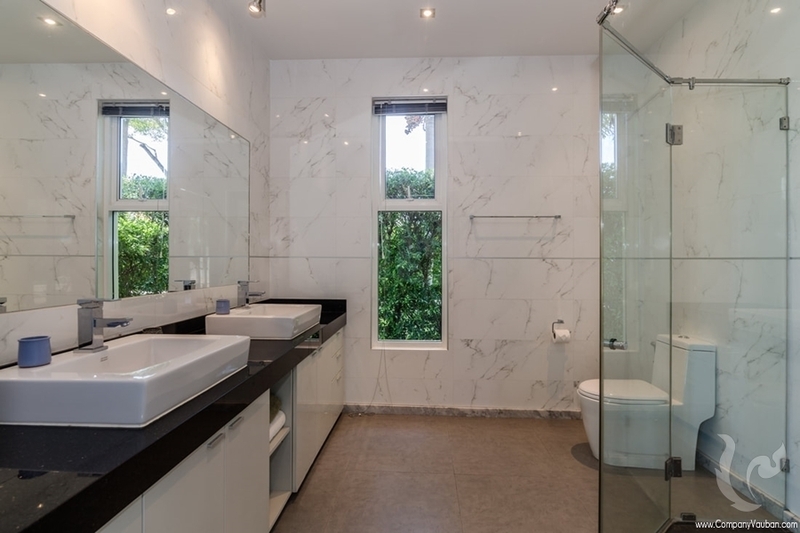 European building standards combine with Eastern inspiration in homes built with the finest local marble, granite, ceramic and wood. 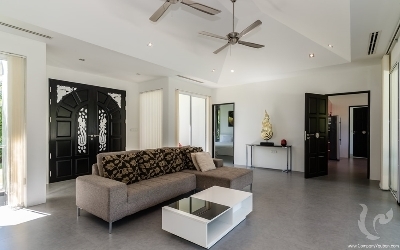 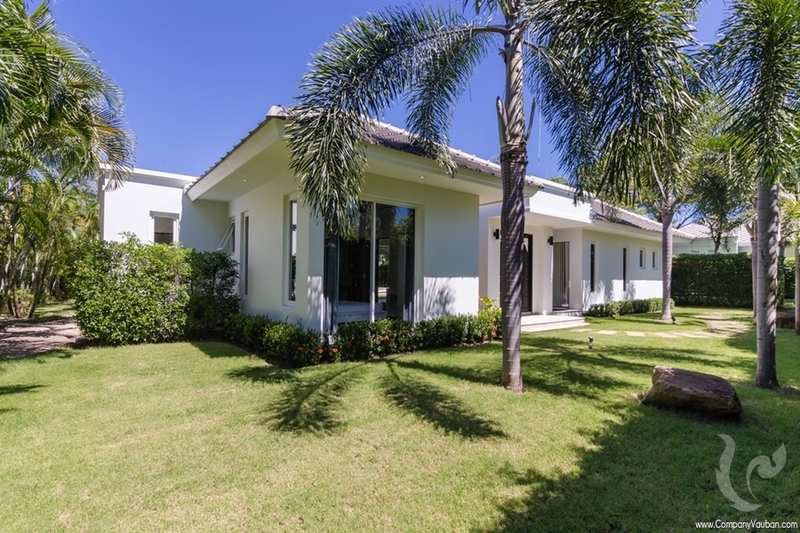 Villas are customised to owners' specifications and are set in extensive grounds with tropical gardens maintained by the development's staff. 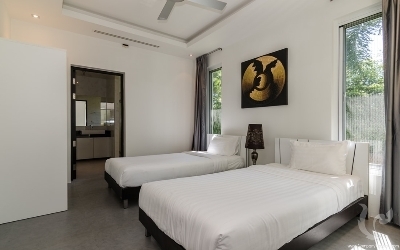 Baan Ing Phu also takes care of maintenance and cleaning and provides drivers and cooks. 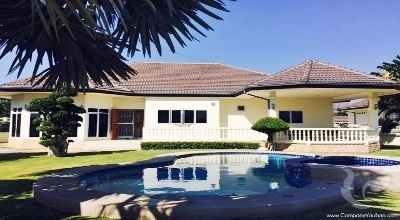 Facilities extend to drinking water and, uniquely for a Thai development, a fibre-optic network providing cable TV, Internet and a centralised alarm system. Recreational facilities include tennis courts, two large swimming pools and a lakeside restaurant. 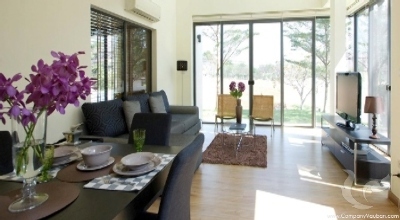 A children's playground and onsite shop add to the convenience of the Baan Ing Phu lifestyle. 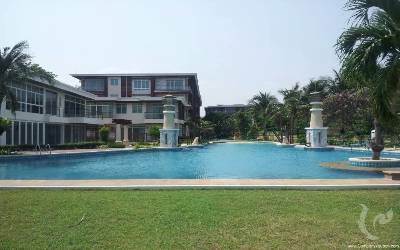 Baan Ing Phu's location has also been a major pull for its upscale residents, with Hua Hin on their doorstep and Bangkok just 90 minutes away down a six-lane highway. 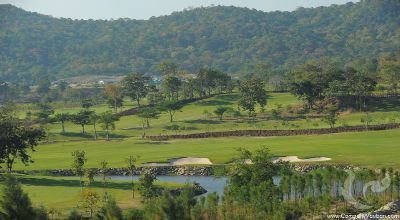 The Black Mountain Golf Course, right next door to Baan Ing Phu, is the best-known of several excellent courses in the surrounding area. Hua Hin also offers five miles of sandy beach as well as a well-preserved traditional ambience with fashionable boutiques, great restaurants and one of Thailand's most famous night markets. 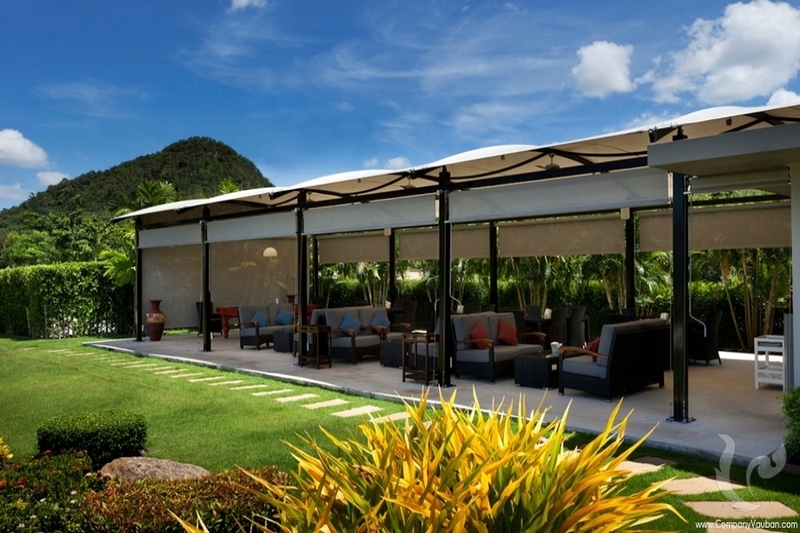 Baan Ing Phu's upscale profile is a perfect fit for Hua Hin, considered the most exclusive Thai resort partly due to its long association with Thailand's royal family.